Goodbye Aol. Hello Entrepreneurship In 2010! This year my New Year's resolution is to be bold and what better way to do that than to start the year off by leaving the solid paycheck, benefits and comfort of a job at Aol. Today is my last day as an Aol employee as I have decided to move on to pursue some of my own entrepreneurial endeavors. It has been just over 3 years since I joined Aol to help bring some "Web 2.0 & social media" perspective and expertise to the Aol team. In Internet years that is about 10 years. My first task was to join the product development team responsible for the myAOL triple threat including a personalized homepage, a feed reader with bookmarking and an innovate recommendation engine. We then went on to launch it in 28+ countries before it turned one. More recently with the launch of AIM Lifestream I saw about 18 months of planning and strategy come to fruition which included work on AIM buddyupdates and the acquisition of SocialThing. I have racked up a lot of airline miles bouncing between DC and the West Coast. It has been a good run and a great learning experience working in a large organization and I have met so many great people along the way. I am proud of our accomplishments at Aol. As anyone who has ever worked at a large company can attest, it is not easy to launch a product in a big organization and I did it a few times in just three years. The 'my' Trend, How To Freeload at Web 2.0 Expo, Google Genetic Index Coming, AOL Top Ad Network By Reach & Is Content A Commodity? 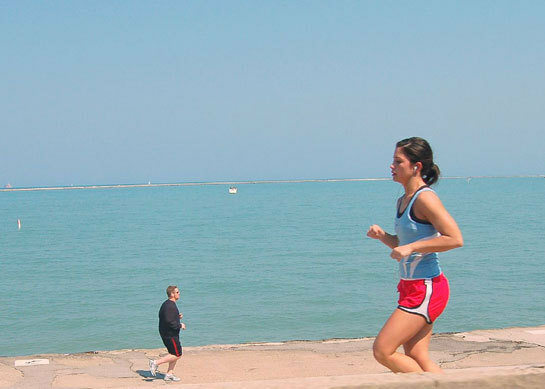 Photo of the Week: This past weekend brought out some warmer spring weather which brought out the joggers like this photo captured on film in Chicago by my friend Araceli Arroyo. Photo of the week: These green frog cupcakes were spotted and then were quickly devoured at the most recent TECH cocktail in Chicago. Nielsen/NetRatings will begin reporting total sessions and total time spent on a site in order to figure out site popularity putting AOL on top of the rankings and bumping Google down to 5th. AOL launched a suite of personalized products into beta: myPage (personalized home page), Mgnet (image-driven content discovery and recommendation engine) and Favorites (feed reader and bookmarking). All three services can be accessed via tabs on the main myAOL page. Facebook and the Working Adult: Fad or Revolution? Web Worker Daily investigates whether or not Facebook in the working world is just a fad or here to stay. Tags - for some, one of the best ideas on the web, for others, merely a visual distraction. Mashable investigates a number of tagging options. Read/Write Web takes a look at how web widgets have evolved from cool, viral toys of self-expression to important big media tools. Anyone publishing widget content online should know a few basic concepts shaping their decision and choose the right mix of software and content based on their target. Niall Kennedy covers some of the basic advantages, disadvantages, and considerations for each type of widget content and bring you up-to-speed on a few current widget deployment options. The sharp-tongued celebrity gossip blogger has apparently been meeting with someone over at VH1. Another example of how blogging creates a platform to do just about everything. Richard MacManus runs the world's 28th most popular blog, Read/WriteWeb, from his home office in Lower Hutt. It's every blogger's fantasy. Mr MacManus started a blog on web technology as a hobby back in 2003. Blogging can pay. Congrats Richard, keep up the great blogging! Last night I was in Chicago with Eric Olson co-hosting TECH cocktail Chicago 5 for an estimated six hundred guests at John Barleycorn near Wrigley Field. Eric and I co-founded TECH cocktail just a year ago looking to help foster a tighter and more amplified technology signal and community in Chicago. We have since looked to other underserved tech scenes to do the same. 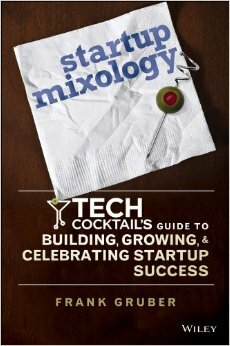 We are planning on having a second TECH cocktail in DC soon and then our first TECH cocktail in Boston. TECH cocktail Chicago 5 was filled with green energy as guests were amped to celebrate the one year anniversary of TECH cocktail. In addition, guests who wore green clothing were given a chance to win some spectacular prizes from SingleHop, a sponsor that has been backing TECH cocktail since day one. The three plus hour free event was sponsored by SingleHop, LinkedIn, Digital Bootcamp, Saper Law Office, Chicagoland Entrepreneurial Center, MK Capital, Origin Ventures, Chicago Micro, Fave Media and LiquidTalk. Demos were performed by myAOL (a product I manage at AOL), PollEverywhere, My Open Bar, Braintree Financial, Humanized and Fave Media. More to come on some of these soon as I take a closer look. We are pleased with the aggressive progress in Chicago and look forward to future events in the Windy City. Thank you to all of our sponsors and supporters, we could not have done it without you. Cheers! Check out the TECH cocktail Chicago 5 photos displayed in the slideshow below. Today myAOL, a personalization product suite, has officially been released to the beta. As the myAOL Product Manager, I feel like our team just gave birth to triplets, as myAOL offers up three applications into one integrated dashboard experience with various levels of personalization. We hope you like it. myAOL myPage is an Ajax, personalized homepage which offers applications and content to be your dashboard for the Web. It offers AOL content and applications (i.e. Truveo Video Search, AOL Mail, AOL Video, AOL Music, TMZ.com, etc.) in addition to 3rd party applications (i.e. eBay, Netflix, YouTube and many more coming soon). It offers a push down express widget tray, separate widget gallery, and drag and drop functionality to help make organizing your page a breeze. It also offers pre-configured, Ready-made pages which makes adding pages full of content easier (e.g. news, celebrity, technology). With partnerships with Google and Goowy Media, myAOL will offer an assortment of Google Gadgets and Goowy yourminis among other 3rd party widgets. 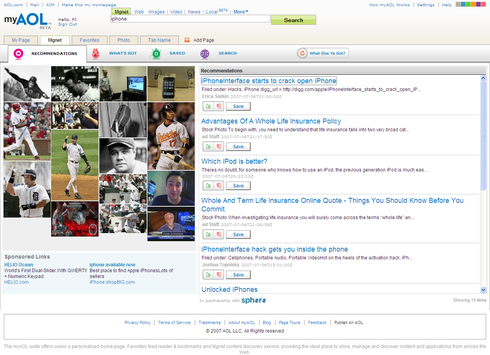 myAOL Mgnet (pronounced “Magnet”) is an innovative and fun, visual content discovery and recommendations engine. Mgnet offers a visual approach (using image clouds) to finding new content that you might be interested in on the Web. By using both collaborative filtering and active inputs to provide Web recommendations to users Mgnet pulls in images and content (videos, articles, blogposts, podcasts, etc.) based on the user's likes and dislikes – users able to rate and save individual stories/feeds. Mgnet leverages Truveo and Sphere for robust offering of Web content Mgnet also displays “What’s hot” which taps into the hot items in the myAOL suite. Some additional social aspects will be integrated soon to make it easy to share your recommendations with your buddies. myAOL Favorites is a combination feed reader & bookmarking product with a built in feed mashup creator (making easy to create your own feed mashups!). Favorite's feed reader offers a robust and easy to use feed reader for fast content updates from your favorite sites with shortcut keys and previous/next buttons make it easier to get through a lot of content quickly. Folders are setup for easy organization Integrated bookmarking and sharing features Import/Export feeds from other readers synched feeds via mobile. Bookmarks are integrated with the feed reader experience making saving your favorite items a one-click process while reading your favorite feeds. Finally, one of my favorite features of the suite is "Mix & Share" within Favorites which allows you easily create a mashup feed which also renders as a page. You simply just added your favorite feeds or bookmarks to a folder then click the green "Mix & Share" button to see you options which include creating a public feed and page which can then can be leveraged in a widget, shared via email, AIM or AIM Share. This really makes creating mashup feeds easy and understandable to someone that may not understand everything about XML, RSS or feeds. The entire myAOL team (dev, design, product, ops, qa, etc) has worked hard developing this personalization product suite, with some help from other groups at AOL and partners - thank you to all for the hard work and dedication. We hope you like the new myAOL and if you have any suggestions or feedback on something that you would like to see us add or change please let me know. Be sure to check out the myAOL Blog to stay updated on the latest happenings in the myAOL personalization suite. 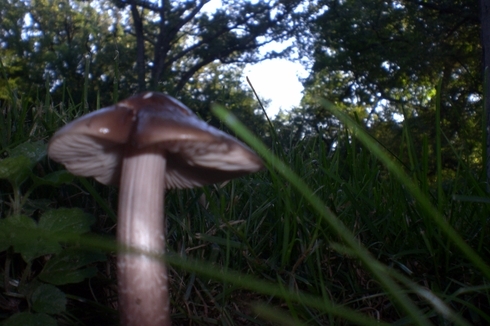 Photo of the Week: I spotted this sole mushroom while visiting 'the country' in Illinois. France leads Europe in its enthusiasm for Web 2.0 startups, an industry that has doubled in size across the continent since 2005. Jerome Archambeaud examines the French market on GigaOm. CNN re-launched its website as an enhanced multimedia site - packed with web 2.0 features such as recommendations and user generated content. In addition, CNN is using both Google and Yahoo for search. AOL is widgetizing AIM with the new Wimzi widget: like other chat widgets, this lets you chat with your website visitors in real time. Google is directly investing in small companies to expand the popularity of its iGoogle product. If this is not validation that widgets have real value then I don't know what is. MizPee is a new service focused on delivering pertinent information regarding the location of nearby restrooms - cause when you gotta go you gotta go! AOL News launched its new design in a blog-like fashion, with excerpts of all the day's main stories laid out chronologically from top to bottom. Jeremiah Owyang had us into PodTech to share the new myAOL with the PodTech team and live blogged it. A great roundup of sites that are tracking Web 2.0 directory-style. Kent Newsome explains why blogging is like songwriting. Robert Scoble is now writing a column for Fast Company magazine and offers up his first column. So you want to organize all your stuff on the web in one place? A new myAOL is coming soon. The current myAOL is solely a feed reader that offers some recommendations. 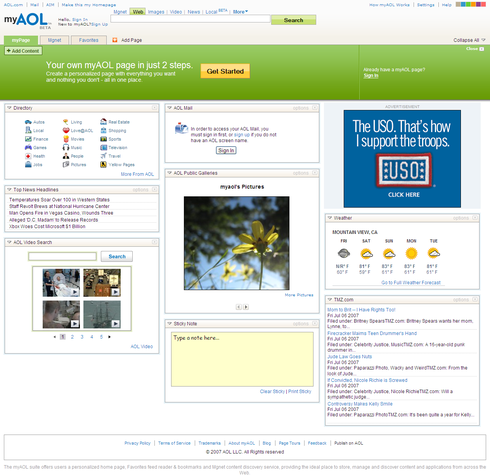 The new myAOL offers a personalized homepage experience with some additional bells and whistles. Aside from an Ajax customizable homepage with drag and drop widgets to give quick click and go access to content and applications, myAOL also offers a few additional pages as part of the first time experience. The additional pages are called Mgnet (pronounced Magnet) and Favorites. myAOL Mgnet is an image driven content discovery and recommendations engine which offers a fun new way to find new videos, images and stories on the web. myAOL Favorites, recently highlighted by TechCrunch, offers feed reader integrated with a solid bookmarking product making it easy to manage and share all your favorite feed updates and places on the Web. I am the product manager for myAOL and I just posted the video (shown above) on the new myAOL Blog. It provides a sneak peek at the product. Check out what Mike Arrington from TechCrunch has to say about the new myAOL. 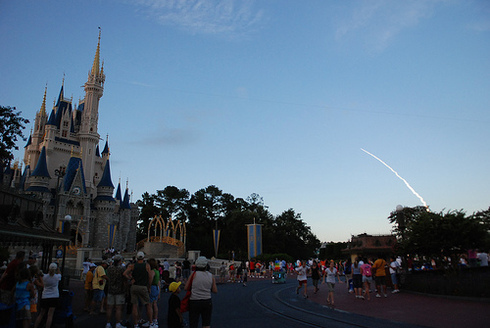 Photo of the Week: Space Shuttle Atlantis Launch from Walt Disney World Magic Kingdom by Josh Hallett was taken this week with the successful launch of the space shuttle. It looks very sharp. I like the way they allow users to personalize the wallpaper behind the search box with a few different colorful skins. Very innovative and 3D yummy design. Rumor has it (coming from major news outlets) that movie rental company Netflix may be purchased by internet retail giant. Does it make sense? Business 2.0 Magazine invites you to vote for the business people who inspire, inform and infuriate you, from CEOs to entrepreneurs to media stars. Vote for Pedro Mike Arrington. Forbes.com has a short but informative article in which Roelof Botha (the Sequoia Capital venture capitalist instrumental in the success of YouTube and PayPal) shares two tips on how to have your service explode in membership using viral marketing. In what looks to be brewing into a mutual smear campaign, London-based Privacy International has ranked Google among the worst top Internet sites for privacy protection, and Google is reportedly taking the watchdog group to task. Clearspring, a Virginia-based company that demoed at TECH cocktail DC 1, announced it was chosen by NBC to be its exclusive widget platform for the next year. This is a major deal for Clearspring, and for NBC as well. The specific terms of this business arrangement have not been disclosed. Yourminis delivers a triple play of widgets: online personalized desktop widgets, actual desktop widgets and blogs widgets. What’s the gayest site on the web? With June being Gay Pride month throughout the US and the World, Compete.com tries to uncover the gayest site on the web. Mashable looks at the various drink 2.0 web sites. 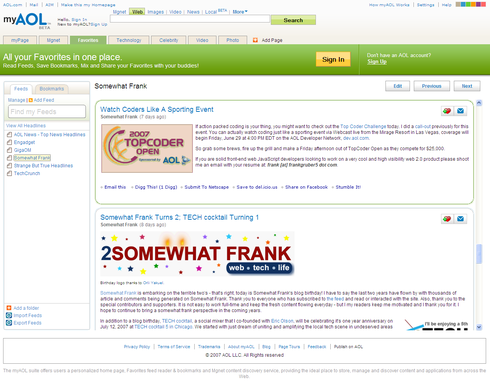 After registering with Feedtwister, members can begin adding their favorite RSS feeds. You can create as many lists as you like, and each list is a combination of the RSS feeds you selected. The interesting question is how the market will respond to an open source battle between the old blogger favorite and the new blogger favorite. Search is history, says Yahoo! Although Yahoo!, like Google, has talked before about developing a more personalised web, with relevant information delivered directly to readers, this was the first time that the company has said publicly that search will become less important.